1. 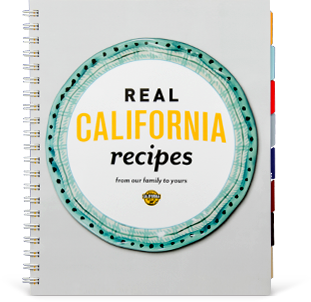 In a large bowl, mix unsalted Real California butter, paprika, garlic, parsley, lemon zest, lemon juice, salt and pepper until fully combined. Scoop onto a piece of parchment paper or plastic wrap and roll into a log. Freeze for 45 minutes. This is your compound garlic butter. When butter is set, slice into 1/4-inch-thick rounds. 2. Dry scallops as much as possible with a paper towel. Season with salt and pepper. 3. Melt 2 rounds of compound garlic butter in a skillet over high heat. Add scallops to pan. Don't touch them for 4 minutes; this allows a crust to form on the scallops. Flip and cook for another minute. Remove from skillet. 4. Melt another round of compound garlic butter in skillet, add spinach and cooked linguine. Toss with red pepper flakes and a pinch of salt. 5. 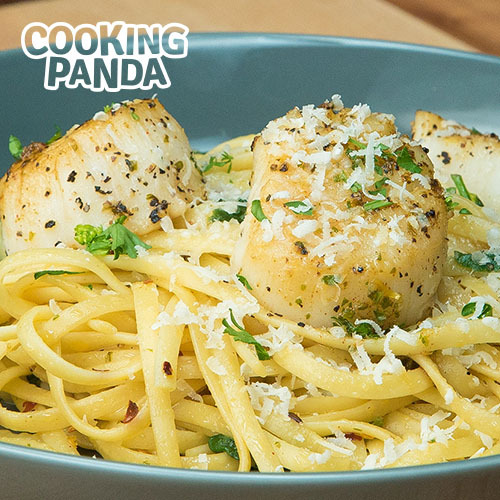 Scoop linguine into a serving bowl and top with scallops, more compound garlic butter, parsley and Real California Dry Jack cheese.